Well, I say spring is here at last. It is spring when I can go out in the woods, plop myself down on the ground, and sit cross-legged there for a long, long time in the warmth, which I finally have done. 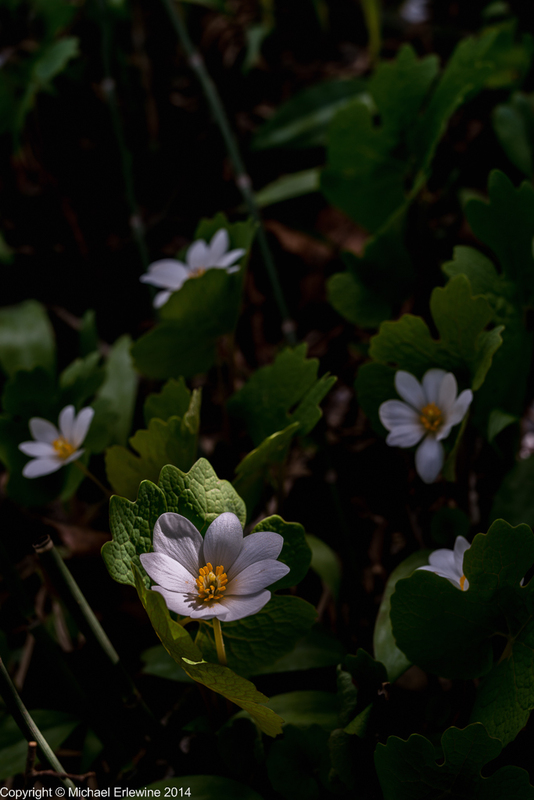 Here is a photo of some Bloodroot, which for some reason, are unusually plentiful this year. Rays of sun are peeking through the (in this case) pines and spotlighting flowers on the forest floor. Winter is over in my mind.